This Grandmother's Garden: What Lies Down My Garden Path? What Lies Down My Garden Path? lies down this flagstone path? It certainly is inviting, isn't it? 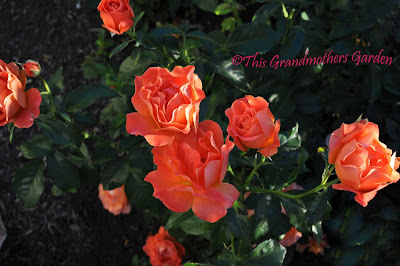 this is my "So Dear to My Heart" Rose Garden. 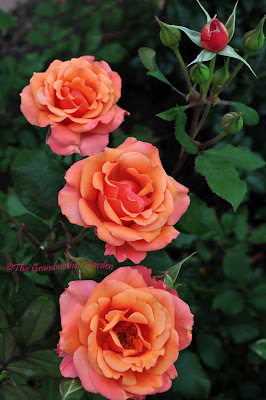 Each of these roses were selected by my children. Each rose represents a child that I am blessed to mother. 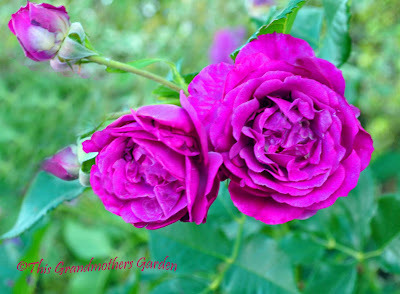 They are indeed, the roses of my garden. 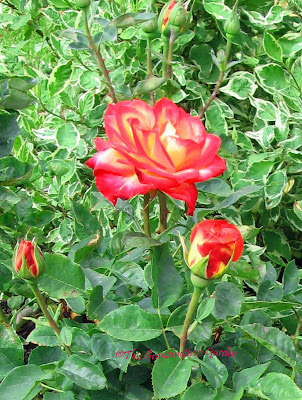 others by their fascination with the rose's name. The roses are planted in order of their birth. who is now the Daddy to four of my grandchildren. I'm quite sure he picked this rose because he loves his sweetheart. 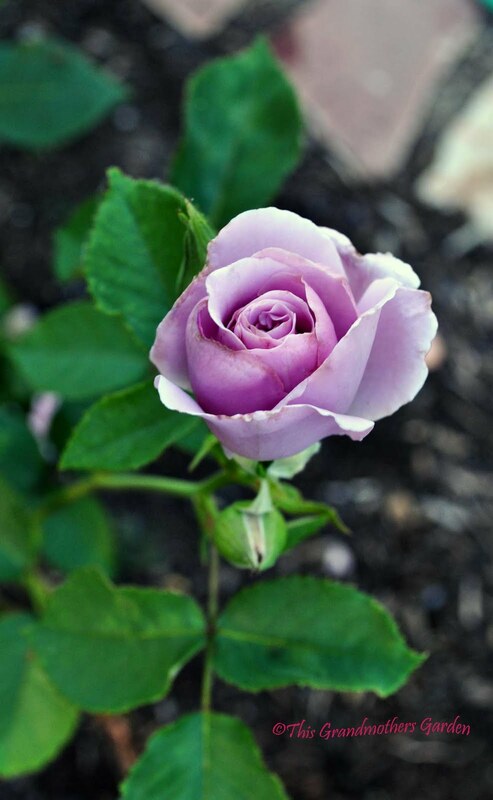 This is her favorite rose. It was the rose she chose for her bridal bouquet. This is the rose of my eldest daughter.. I knew she was a princess from the first time I gazed into her tiny eyes. She is now the mother of her own little princess and three little princes, too! This rose fits her perfectly. 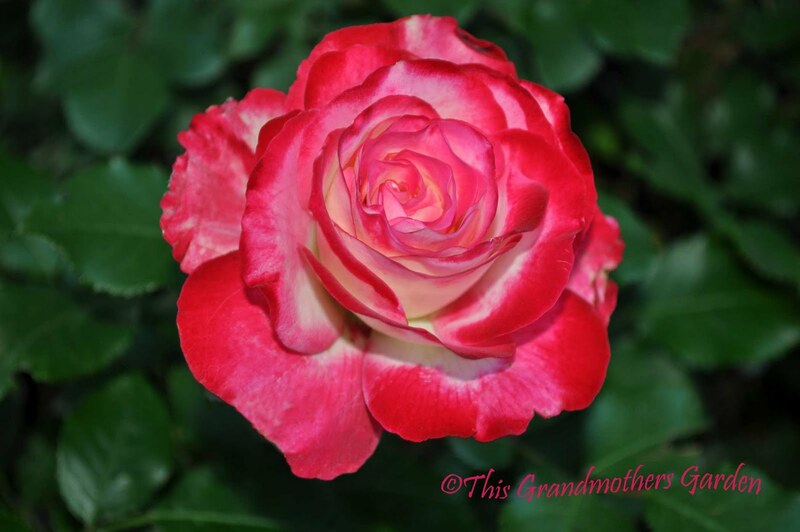 My 2nd son chose this rose. he's been such a perfectionist since he was a small boy. they now create many perfect moments! I smile when I see this rose, it so reminds me of my 3rd son. a much needed relief for this busy momma. and his little family is filled with joy and happiness. My 2nd daughter chose this rose. 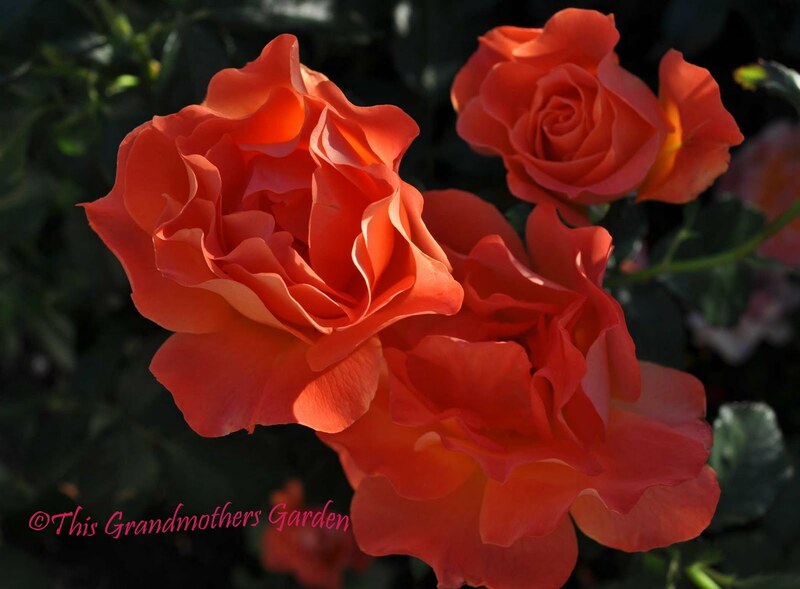 When it first blooms it is a soft apricot color. as though it is forever changing it's mind. So like my daughter when she was younger! 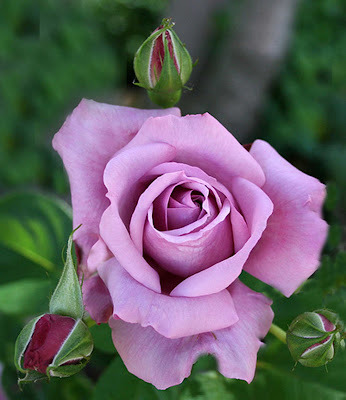 This is the rose of my 3rd daughter. The fiery color is so like her! yes, this rose fits her quite well. 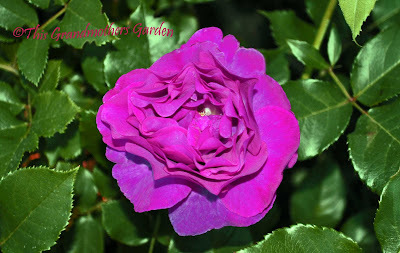 My youngest son chose this violet blue rose. The name suggests the sky's the limit and that aptly describes this son. He has a genuine love for learning and remembers everything he studies. a sweet compassion and kindness toward others. 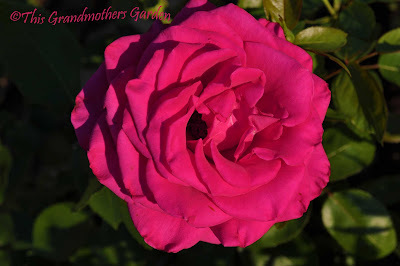 This rose is my youngest daughter's choice. Just like the cherry on top of the Sundae, she makes our family complete. and that's what she keeps me doing... I'll never grow old with her in my life! This rose was given to me by my children to represent my grandchildren. that's exactly what my posterity is bound to be. with the potential for many more to come. 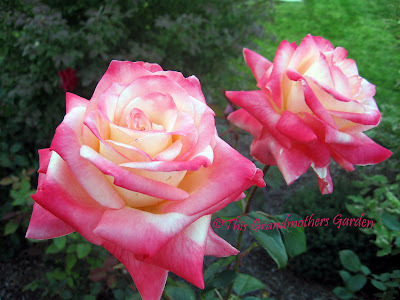 There are two more roses that complete my rose garden. This is the rose I chose for my sweetheart. The aroma is simply divine. because he has such a keen sense of smell. well, I guess I just am! At least he sweetly thinks so! 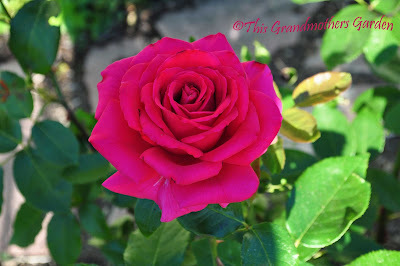 I love visiting my rose garden! 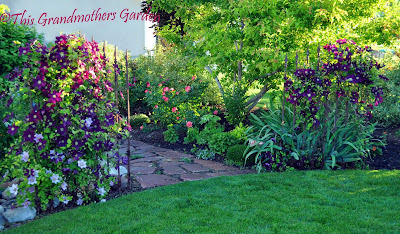 as I walk this garden path. and the keeper of these gardens. and by far the most beautiful. Ah! My favorite post so far. 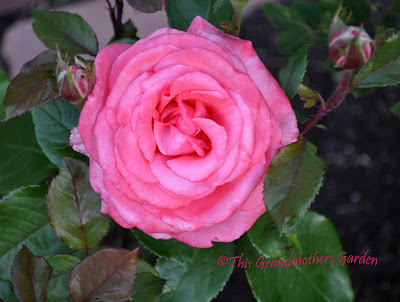 Your descriptions of the kids and how they tie into the rose were perfect! I liked it too, wish I could see them in bloom! Just Beautiful. While reading I had a big grin reading about each child and rose. What a beautiful way to honor your Family!!! I did this in my first house but had to leave everything. 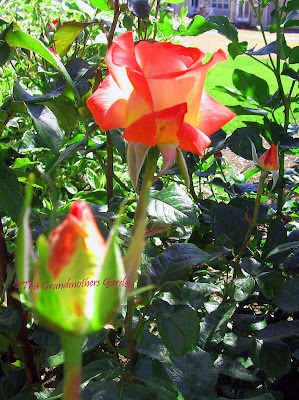 You are very clever and your gardens and outlook on life is just great. Happy Gardening. What a fun idea! So pretty too. 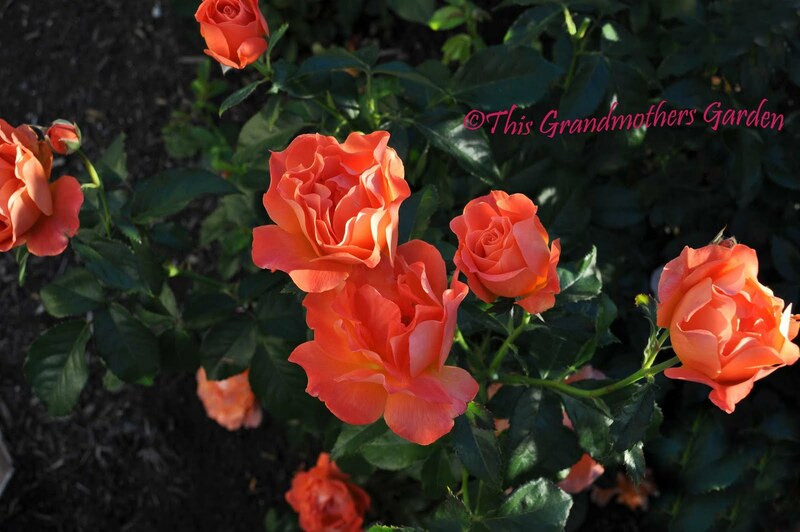 The roses are beautiful. What a wonderful idea to have a rose for each of your children. Maybe I'll ask my children to each pick a plant to represent themselves and also a plant for each of their children. Three children, six grandchildren - hmmm - I think I might want to add some other plants - maybe in memory of my parents? 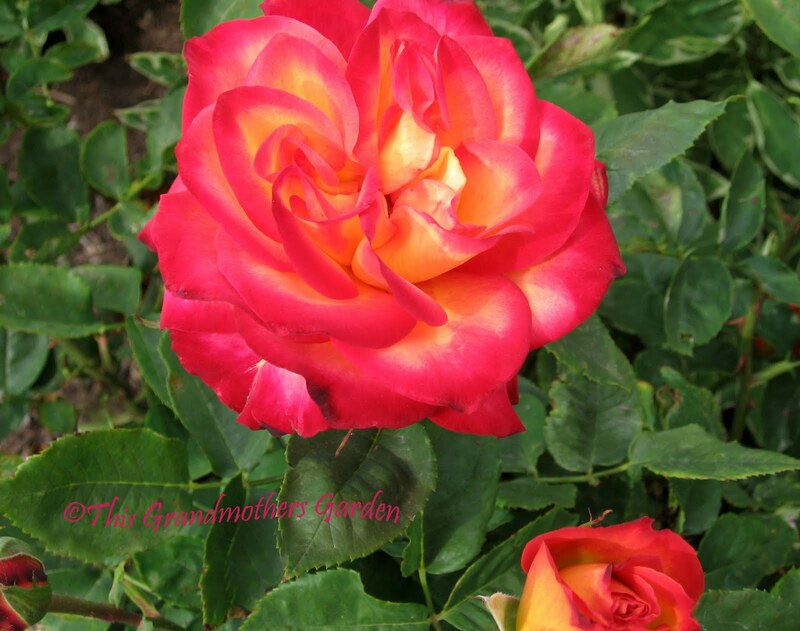 What a wonderful idea to have your children select the roses in your garden. The clematis at then entrance to the garden are lovely too. thank you! what a beautiful post - I have tears in my eyes just reading it. 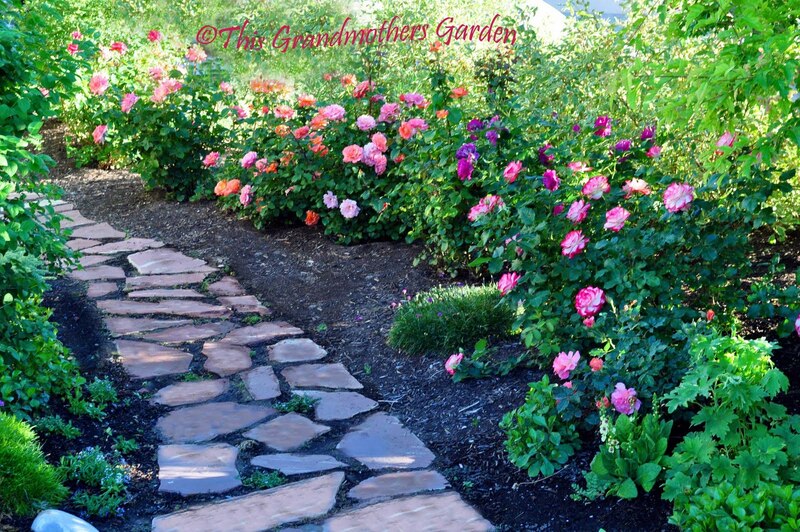 Absolutely beautiful, and your roses are perfect, and so clever of you to hide this magic down a very inviting flagstone path! I'm with you and our children. 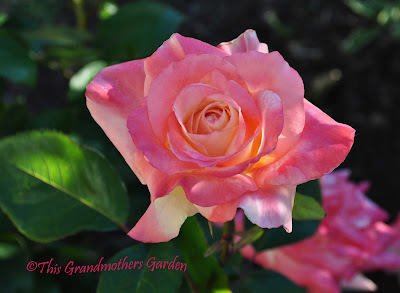 A wonderful visit into your beautiful garden and life. How meaningful! My parents did the same thing for their 7 children. We moved too much to do this for our children but after reading your blog, I'm inspired to garden for my grands! Thanks. What a wonderful idea. When my boys were younger (they are teens now) I planted 'animal' gardens full of plants to entice them into the garden to hopefully share in it's magic. But now that they are grown, I love the idea of getting them involved on a completely different level. Thanks for the inspiration. I try to found which could be my favorite, but they are all so beautiful. Bravo, for your perfect roses. 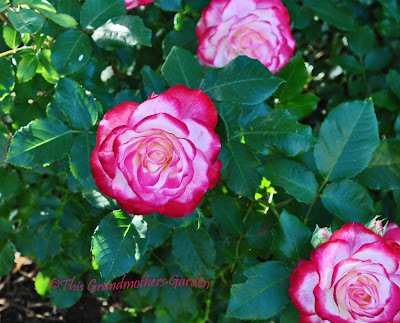 And, what a lovely rose garden it is! That Tuscan Sun is soooo beautiful. As are all your roses. I wish blogs had a fragrance widget. Hope you're enjoying this [UT] holiday weekend. 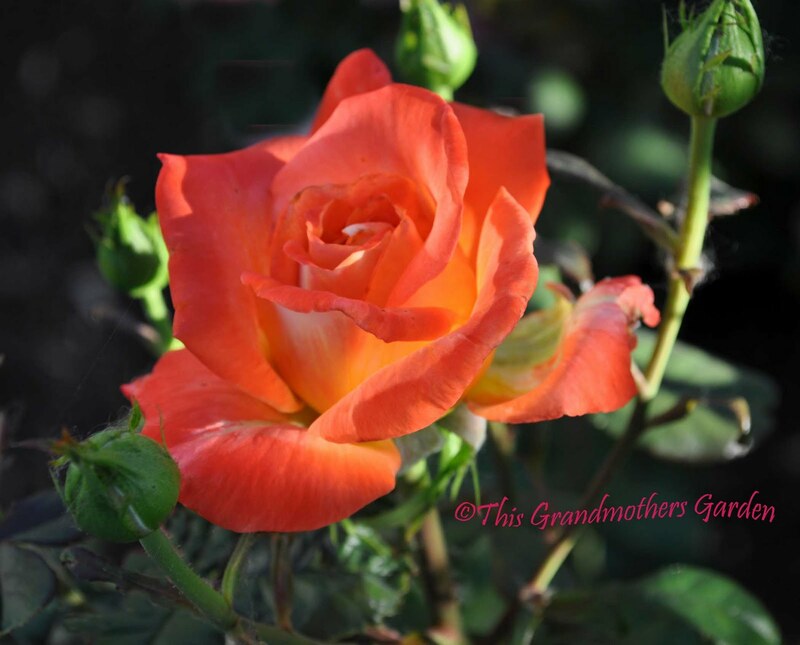 Camille shared your rose garden with me :) Beautiful!! I enjoyed your roses and thinking about each of your children, particularly Bryan. Thanks for all of the planting and cultivating over the years. He is a rare specimen! I also really enjoyed your commentary throughout your blog, the beautiful colors, descriptions, etc. I can see a passionate artist is at work. Thanks for sharing a little of yourself. You've created a heirloom collection for your family at Grandmother's house. I would walk down your garden path any time. Very touching post! 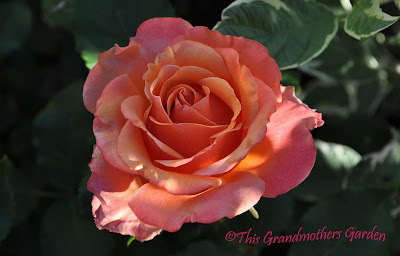 This is a very beautiful post, not just the pictures of all the roses, but also because of the story that each of them tells. 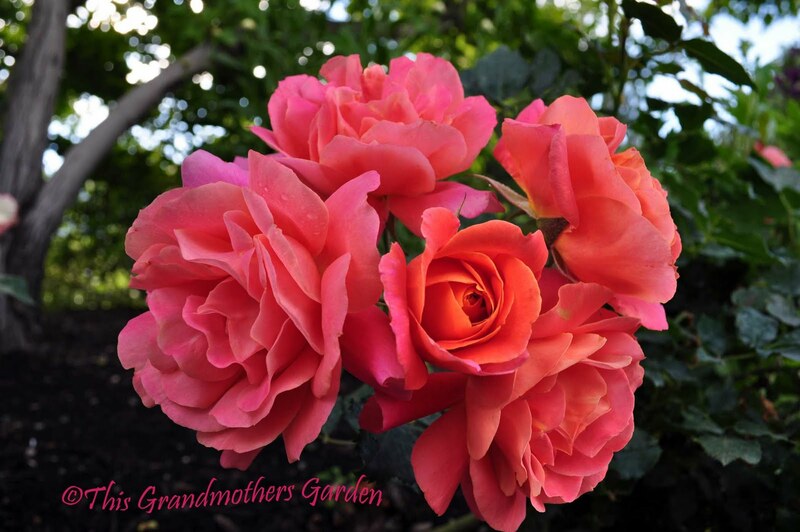 May they always bloom in your garden. 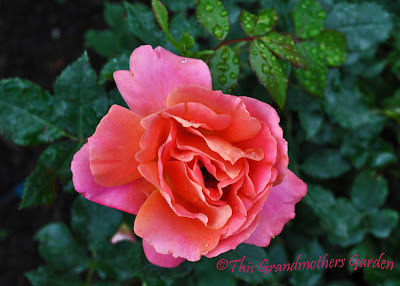 I just stumbled on your blog today (followed your link from Proven Winner's Facebook page), and so enjoyed it! 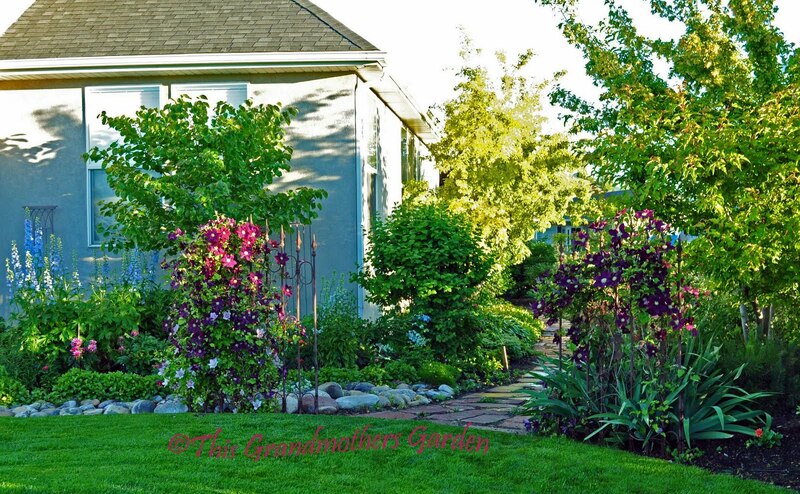 Thank you for sharing your lovely gardens with us! 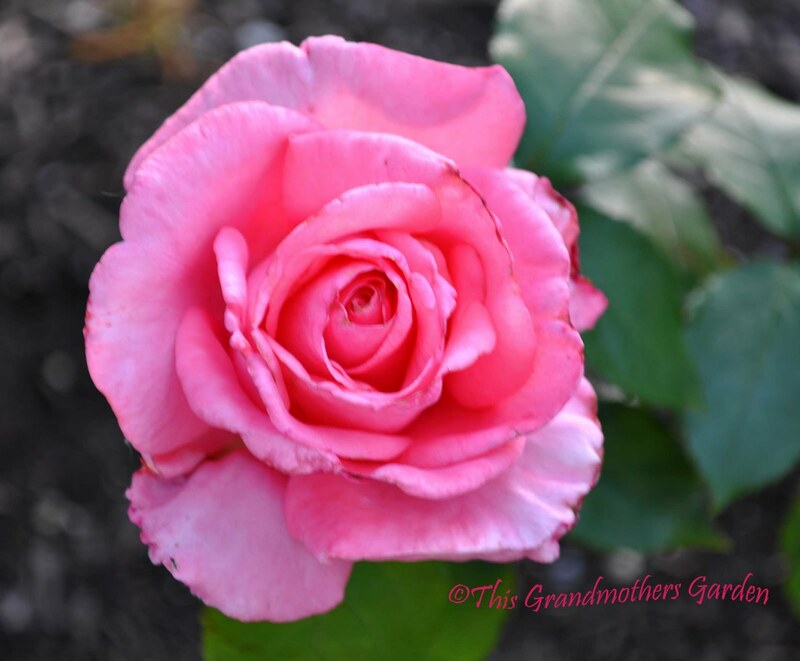 What joy your rose garden must bring you, each rose carrying special memories! I love this idea! The total effect is gorgeous. 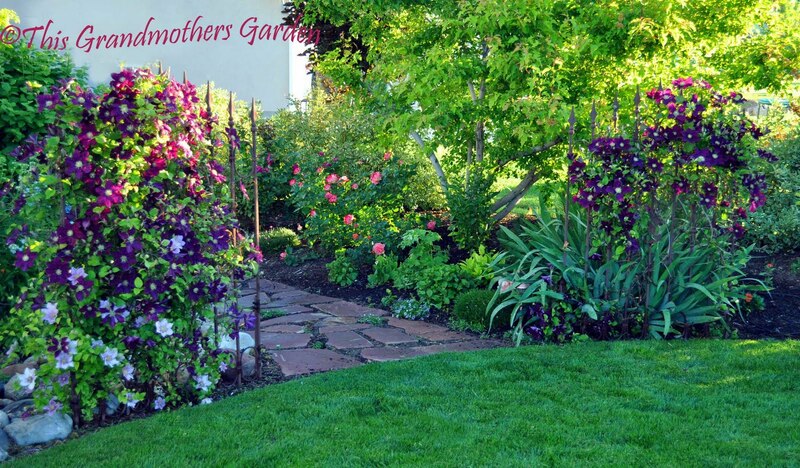 Even without the sentimental value, your garden path is wonderful. 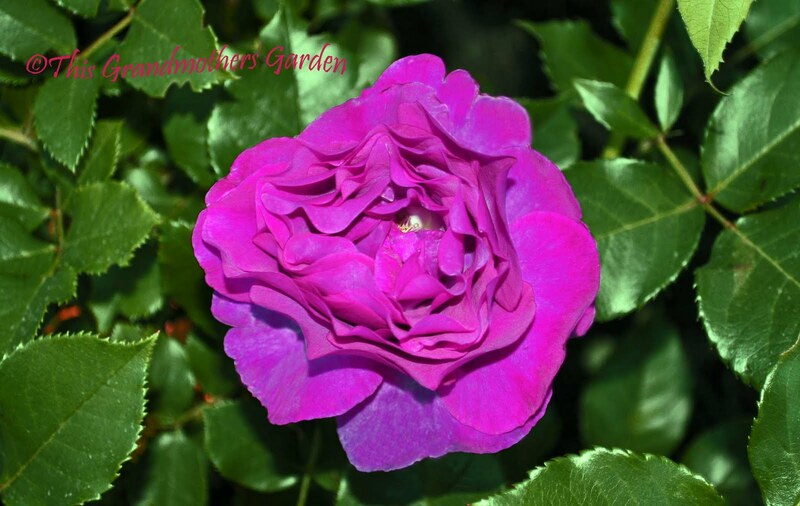 What a beautiful rosegarden you have Meredith, I espescially lilke "Wild blue Yonder". 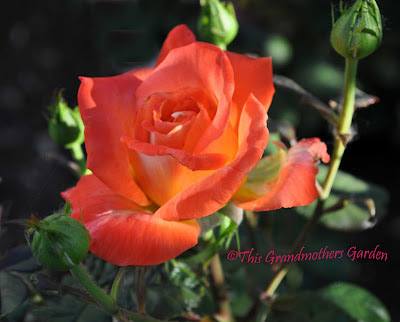 Thanks for the rosewalk in your garden. Yes it's sweet peas in my last post. 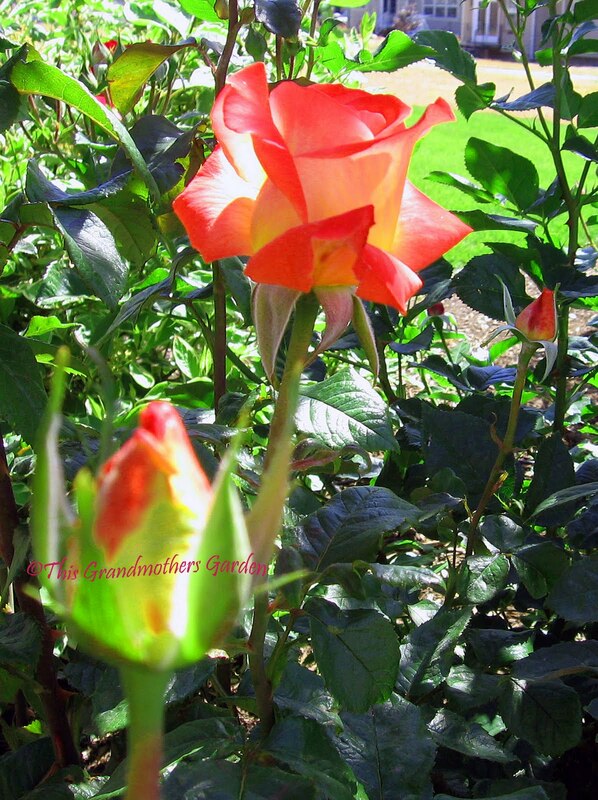 You are not just a gardener but also a poet. I enjoyed reading your blog. Your sentimental garden of roses is precious. How wonderful is it to have a thoughtful memory of each member of the family with a special rose representing each one of them. Really love your rose garden. Your roses are beautiful, and what a wonderful idea. I loved your description of how they each remind you of you children. Lovely post. Love is ever flowing in your family, I can feel that. What a great way to keep love so dear like that, that you can just walk along the path and be touched by it - with sweet smell, gorgeous flowers and of course, memories.. I'm definitely considering copying your idea when my kids are older.